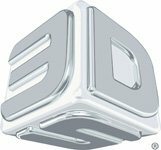 Just before the New Year began, Finnovation Product Development took ownership of the latest in 3D Printing and Rapid Manufacturing (Direct Digital Manufacturing) technology in the form of the 3D Systems (DDD) sPro series Selective Laser Sintering Center. The sPro SLS 3D Printer takes Rapid Prototyping to the next level: Rapid Production. Short manufacturing runs can be made using extremely durable composites (including carbon fiber) and can be delivered faster than any other manufacturing process. This technology puts Finnovation Product Development’s Rapid Production capabilities in the ranks alongside General Motors, Boeing, and Burton Snowboards (to name a few) and allows production of durable prototype or end use parts that can be delivered in days. 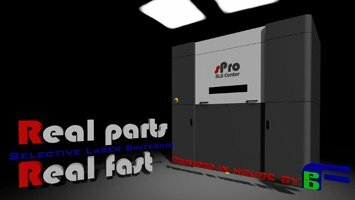 The 3D Systems sPro SLS 3D Printer line has been proven in industry to cost effectively streamline any design or manufacturing process, instantly. Clients find new ways of incorporating this technology to further reap the benefits of this 3D Printing technology. One of the best examples of fast paced engineering and manufacturing challenges is Formula 1 Racing. Check out this YouTube video on how Lotus Renault is using 3D Systems Rapid Prototyping technology to shave seconds off their laps and millions from their design and manufacturing costs. This video sums up the advantages of 3D printing using real world examples of 3D Systems 3D Printing technology applied in this fast paced design and engineering environment. The difference with Selective Laser Sintering (SLS) compared to other additive manufacturing technology is its speed coupled with its unmatched material strength and diversity. The sPro line of Rapid Production systems allow for customized materials to be applied satisfying the most demanding engineering requirements. There are other aspects of the machine that make the sPro a miracle not only to design and manufacturing, but to the environment as well. The 3D Systems sPro uses mostly recycled material that would have ended up as scrap, effectively turning trash into usable machine parts. The sPro is designed to recycle and reuse material within the system to further maximize its material efficiency. The machine was made in Oregon, shipped on US roads, and represents the future of manufacturing in the United States. America has found its niche in the global manufacturing environment via companies like 3D Systems and those who implement Rapid Manufacturing technology into their design process. Having the latest in SLS Rapid Prototyping and Rapid Production technology in-house allows Finnovation to meet demanding deadlines and provide cost effective solutions while streamlining any design and manufacturing process. Based in Rochester New York, Finnovation Product Development operates around the clock, 7 days a week, to truly make this technology a “rapid” solution. Contact us to add the benefits of Rapid Prototyping and Direct Digital Manufacturing into your design and manufacturing process.